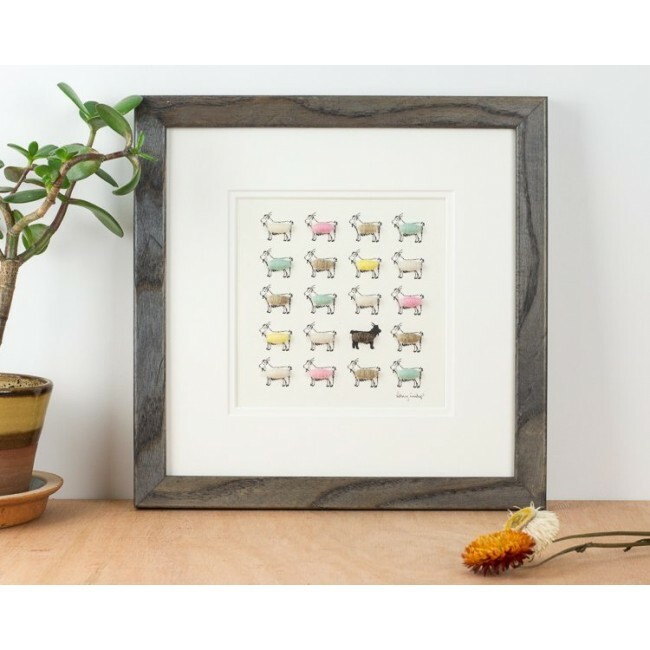 Our goats, hand finished print with fluffy Cashmere goats is perfect for a calm living room, kitchen or nursery. It is a lovely gift for a goat owner or anyone who loves animals and the outdoors. 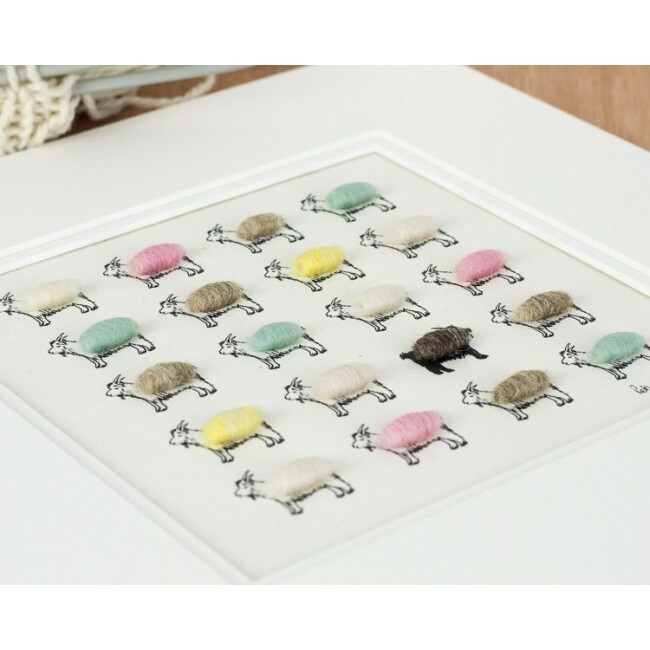 Each goat is handfinished with real wool making the print 3D with the raised bodies. This is a lovely finishing touch, and really is our signature detail that amuses so many. We print on a lovely acid free arhival quality paper made here in the UK. Mounted picture size is 255 x 255mm (10 x 10inches). This is the inside frame measurement. It is a standard size fairly readily available. 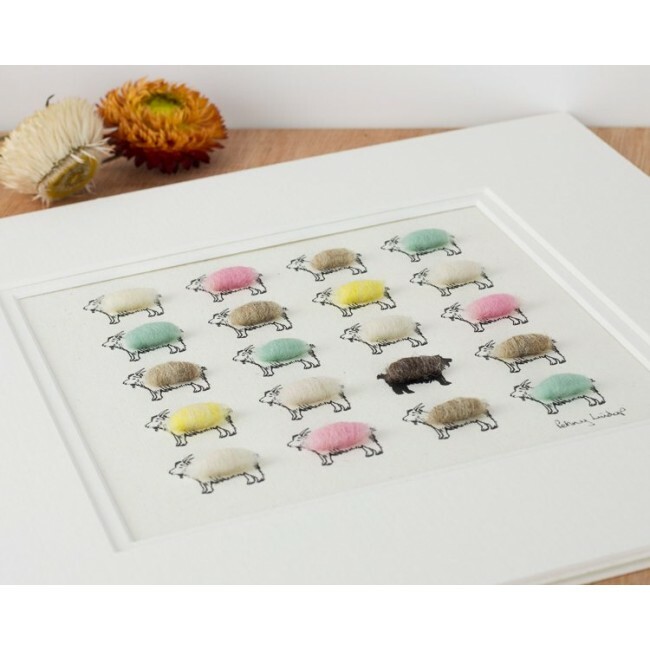 However, we are very happy to frame the print for you if you would like a complete gift. We offer a natural oak frame or a chacoal grey stained ash. Both these frames habe a very simple plain profile and will enhance the artwork. 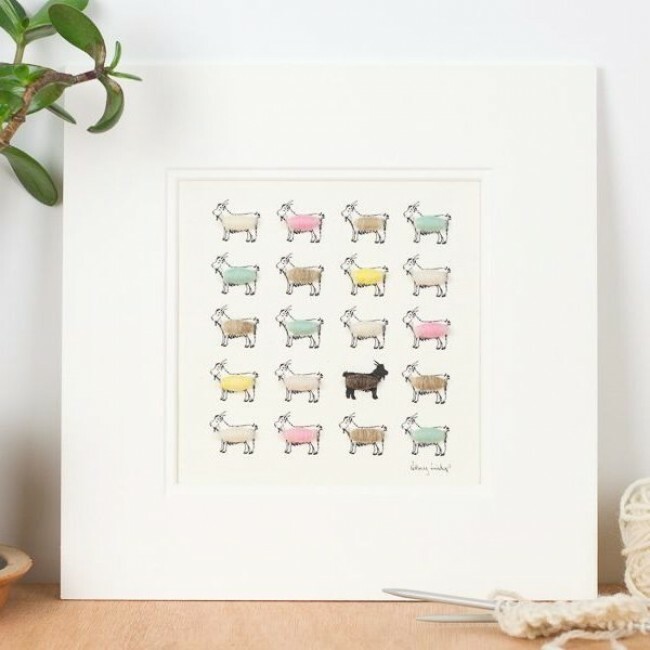 We are happy to add a personalistion to this print for you, making this a truly unique gift. 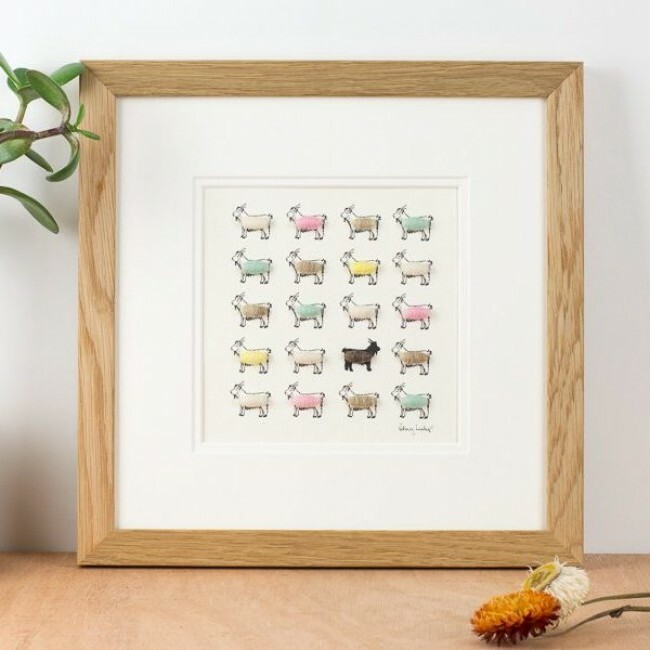 The wording is handwritten in pencil on the print beneath the animals.